A 2017 Days of Culture photo posted by Janet Lee Stamats Landis. Salem, Ore. – “Active is an understatement. 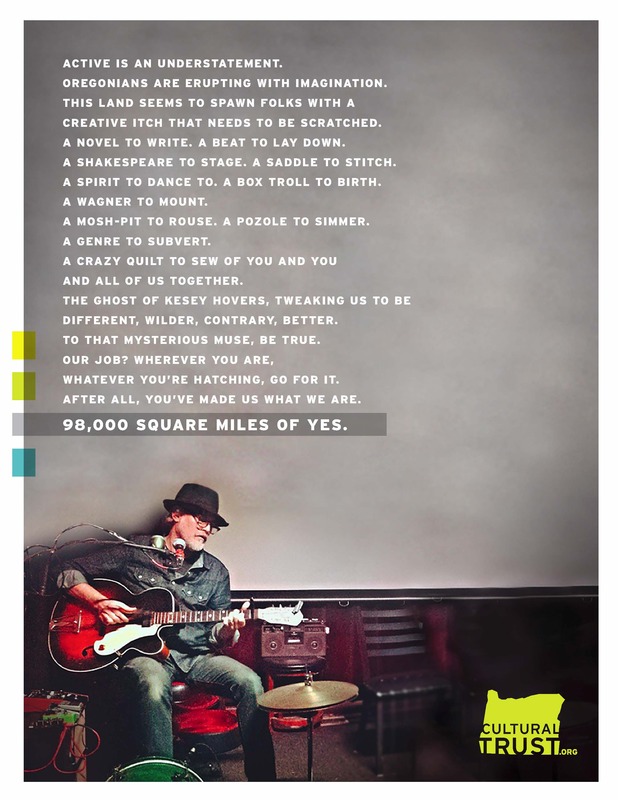 Oregonians are erupting with imagination…” The brand anthem for the Oregon Cultural Trust proclaims the unique connection Oregonians have with culture; a connection that is celebrated each October during Days of Culture. Days of Culture 2018 will showcase the diverse ways Oregonians experience culture with an Oct. 1-8 social media campaign inviting individuals to share snapshots and videos of their cultural experiences with hashtag #ORCulture. The winning image will serve as the inspiration for an original poem by Oregon Poet Laureate Kim Stafford and be used as a lead image and mantra for the Cultural Trust’s 2018 fundraising campaign. The winner will receive an autographed poem framed with his or her photo. All who post images on Facebook, Twitter or Instagram with the hashtag #ORCulture will be entered to win. The winner will be randomly selected on Tuesday, Oct. 9. Traditionally a weeklong celebration of events and activities presented by Oregon’s 1,500+ cultural organizations, coalitions and tribes, Days of Culture commemorates the Oct.8 anniversary of the Cultural Trust, established in 2002. The decision to expand the celebration to feature individual experiences came from a desire to demonstrate how interwoven our culture is with everyday life. All Oregonians are invited to share their culture by capturing a photo or video of a cultural moment or event (anything from a visit to a lighthouse, a poetry reading, a sporting event or a concert to a quinceanera or a book club) and posting it on Facebook, Twitter or Instagram with the hashtag #ORCulture. The goal is to digitally showcase a range of cultural experiences from around the state. Individuals are welcome to post multiple images. Days of Culture also launches the Trust’s fundraising season; those who gave or give a 2018 donation to one of Oregon’s designated 1,500+ cultural nonprofits are eligible for a tax credit if they make a matching gift to the Cultural Trust. For details on Days of Culture 2018 and the tax credit, visit www.CulturalTrust.org.